Virgin Sport British 10K is an ultimate foot tour of London’s finest sights. With over 10,000 participants and spectators have taken over Westminster in 2017, get ready to experience London’s most iconic landmarks and a British street party, with a twist. 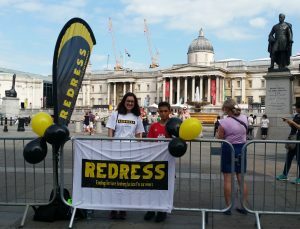 If you managed to secure your own place in the British 10K, then we would love to join Team REDRESS. She strongly believes in the work that REDRESS does and our work is very close to her heart. 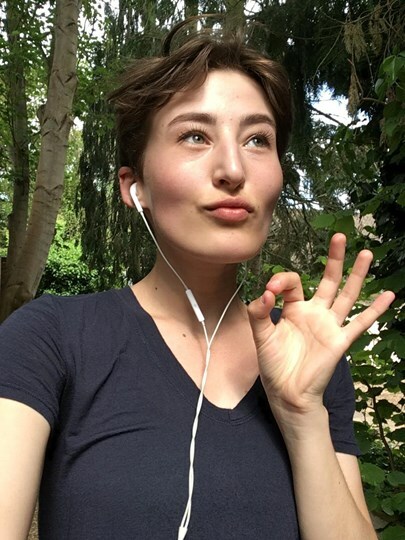 Naomi had a chance to be an intern with REDRESS for the last six months which has re-affirmed her desire to practise law in the field of human rights, particularly concerning the civil liberties of women. 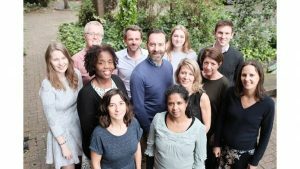 Flaminia had the chance to be an intern with REDRESS last summer: it was an incredible experience that showed her the commitment of every member of the organisation in REDRESS’ work to obtain justice. Antonio was inspired when last summer Flaminia and her colleagues told him about REDRESS work and the victims of torture we are helping. It is an essential goal for both of them to take this challenge in support of REDRESS. The reason Wilson is running is that survivors of torture most of the times are voiceless, that people are being denied their dignity just because who they are and that sometimes they hardly have access to redress. But above all, he believes that we need to start speaking loudly about it. Rupert is a barrister who specialises in human rights law and international criminal law, and who has directed strategic litigation around the world. He is raising money to help torture survivors directly and contribute to the eradication of torture and our cruel and inhuman treatment. Combining his two passions for human rights and running have been close to his heart because it helps raise funds for important human rights causes like REDRESS. 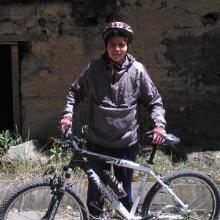 He believes that even more can be achieved when forces are joined. Your support can reach over 1000 survivors and help them achieve the justice they deserve. Would you like to take part in the Virgin Sport British 10K experience but running is not your passion? 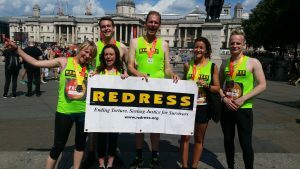 #TeamREDRESS needs your time and energy to create the best experience for our half marathon runners! We aim to be located just south of Trafalgar Square next to the Charles I statue. The picture shows roughly where REDRESS will be, although, we have to claim the spot so we can’t guarantee the exact position! We aim to be at the cheering point from 9 am until midday so please come and help us support our runners! Can’t go to this event? Would you like to leave a donation instead?